Mercedes Williamson, 17, went missing May 30 and was found two days later buried in a field behind her murderer's father's house. 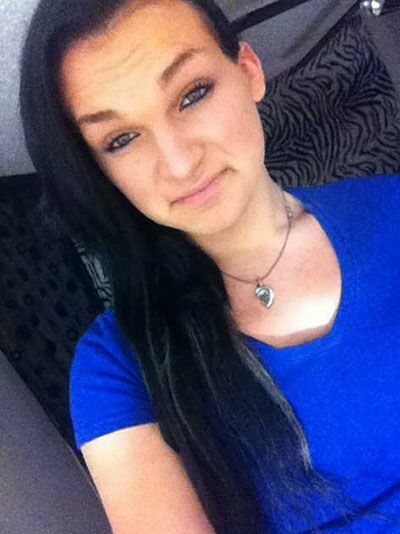 In early June, police from George County, Mississippi, unearthed the body of 17-year-old trans woman Mercedes Williamson, buried on May 30 in Rocky Creek, Alabama after she was reportedly murdered, according to southern Mississippi's Sun Herald. Josh Brandon Vallum, 28, was charged with Williamson's murder several days after police recovered the teen's body. A day after the murder, Vallum had told his father Bobby Vallum on June 1 that he had killed a person and buried their body in the wooded field behind his father's Rocky Creek home, according to police records. Bobby Vallum reported the confession to police, who found a partially decomposed body hidden under debris on the property at 9 a.m. on June 2. The Herald reports that Josh Vallum is a longtime member of the Latin Kings street gang. A DNA sample provided by Mercedes Williamson's family confirmed that the remains in Vallum's backyard belonged to the transgender teen, according to the Herald. A Facebook tribute page to Williamson indicates that she allegedly died from stab wounds. Vallum reportedly knew Williamson was a trans woman before he murdered her, notes the Herald. The Herald found that Williamson, an aspiring cosmetologist who enjoyed spending time outdoors, appeared to be estranged from her Mississippi birth family, as she had moved alone from Alabama's Gulf Shores to the town of Theodore, to live in a trailer with 41-year-old friend Jeanie Miller. Williamson had been sleeping on the couch in the one-bedroom trailer's front room since September. Miller told the Herald she last saw the trans teen, who Miller said she loved like a "daughter," when she left their trailer around 2 p.m. the day she was murdered, saying she was going to spend time at "the bay" in Gulf Shores. Williamson was supposed to be picked up by a friend, but a witness said she departed in an unknown silver vehicle. "I couldn't believe it," Miller told the newspaper through tears in the video interview below. "I don't want to hear. I miss how she flipped her hair. I miss the crooked teeth with that beautiful smile. ... I can smell her. I just keep wanting her to walk through that door. ... I'll never have nobody like her again. That is barely something that crosses people's lives anyway. She is the most beautiful person." Hate-crime charges have not been filed in the case, and police have not revealed a motive. It remains unclear whether Williamson's murder was related to Vallum's gang activity. Vallum is currently being held at George County jail on $1 million bond. Williamson is the ninth known trans woman murdered in the U.S. in 2015, in what trans advocates have labeled an "epidemic" of transphobic violence that has taken the lives of London Kiki Chanel, 21, in Philadelphia; Kristina Gomez Reinwald, 46, in Miami; Penny Proud, 21, in New Orleans; Taja DeJesus, 36, in San Francisco; Yazmin Vash Payne, 33, in Los Angeles; Papi Edwards, 20, in Louisville, Ky.; Ty Underwood, 24, in North Tyler, Texas, and Lamia Beard, 30, in Norfolk, Va.
Bri Golec, 22, of Akron, Ohio, has been identified as a possible other victim, though there exist conflicting reporst frome friends and family about Golec identified. By comparison, 12 transgender women were murdered in the U.S. in all of 2014, though this does not account for individuals whose deaths were not reported or investigated, nor for victims who were misgendered or not regarded as trans women in death. Watch the Sun Herald's interview with Jeanie Miller below.